now that thanksgiving has come and gone i am starting to realize just how little time i have left until christmas. i am very much a handmade gift giver and i have so many things to complete for the holiday. the first thing on my list is this colorful pile of stockings~ i sewed them last year, each of them is made from a thrifted and felted wool sweater. they simply need linings and a little loop to hang from. no problem, that will only take an hour or so. then there is this bunch of cotton flannel purchased at jo anns black friday sale~ i am head over heels In LoVe with those owl prints! cozy jammies are planned. that blue flannel with the cresent moons is the only print that would not have come home with me if esme' had not been there. she insisted. so we bought 2 yards. she wants it to be a pillow case with pj pants to match. i told her i would put them on my to do list. i also bought the latest copy of sew simple magazine while at jo anns. i found the pattern for this little guy within it's pages. add him to the list. and, in additon to handmade gifts for my family and friends i am also participating in the big Sew, Mama, Sew giveaway day, December 3rd. be sure to come visit me, i will have something LoVeLy for you!! ~bath time with harper. i had intended to take a quick shower by myself but i was followed down the hall by a sticky blond haired toddler, frantically signing "BATH!!". how could i resist? ~and this. chocolate and peppermint? bring it on! it is really tasty in my coffee! ~a visit from my baby brother. we don't see him nearly enough even though he only lives a mile away. ~ and oh, the food! our thanksgiving meal was perfect. and i ate... a lot! ...and those are big shoes to fill! i promise, this will be the very last post about my shop for a long, long time! thank you for being patient with me! i stocked lip balms and lip tints this afternoon as well as another new product~ Breathe Better Butter! it is an all natural and organic vapor balm that is perfect for little ones as we approach cold season. so please check it out! in other news, i am just trying to get ready for the holiday that is upon us. i battled the grocery store with four kids yesterday... not fun! but i am looking forward to a yummy feast and a relaxing day with my family this thursday. i really do have so much to be thankful for! Succulent Shine lip tints and lip balm! and i love it! i got the idea from 2 name suggestions so i will pass along a lip balm and lip tint to both Amber and Desi! and the random number generator picked #5... yay Christa! how many lattes will a handful of fishy crackers buy me? i made this! i used the pixie handbag pattern and delicious amy butler prints from fabric shoppe. after tiny helping hands sifted through the entire collection a pretty red button was chosen for the pocket inside. and i agree, it was the right choice! ... and as of this evening there isn't a single fishy cracker crumb riding around in the bottom! today i am washing diapers, sewing a new bag for myself (i cut all the fabric yesterday)and choosing a name for my new inspired mama ORGANICS product, with plenty of kissing, hugging, tickling, snuggling, nursing, giggling, reading, snacking, singing, and playing, all randomly thrown in. so that is what i am doing today. that's all... but that is plenty! this month i have been busy creating something wonderful... i am excited to introduce inspired mama organics LIP BALM! just in time for the holidays! i will be offering lip balm in lemon, peppermint, sweet orange and cinnamon~clove. and, something i am super proud of, tinted lip balm! as with all of my products they are totally natural, totally organic and totally safe. the tinted lip balm is a pretty shade of red and goes on sheer and glossy. i have handed them out to several friends and the color is truly flattering on everyone! the pretty tint comes from a powdered root that is infused into organic sweet almond oil. it will be available in unscented and peppermint. so, there they are, all ready to go. they are only missing one thing... that's right, a pretty label! i need a little assistance coming up with a name for these little lovelies! please help!! stop by my shop and take a peek at my other products. i am looking for a name that fits in with what i already have going on. something sweet and simple, just like the product! leave me a comment with your name suggestion. this thursday, sometime after lunch, i will choose 2 names~ one will be chosen randomly and the other will be my favorite name suggestion~ and i will send both people a lemon lip balm and a tinted lip balm! oh, and please make sure i am able to e-mail you in case you win! esme' and i spent way too much time this evening playing dress up with zoe and decorating gingerbread houses over here! today, while harper napped with daddy i ventured into the backyard and collected a bag of acorn caps for my friend heidi. they will be used for something crafty and wonderful. we gather the acorns from this old oak tree in september and bring them in for our nature table. i love these little caps~ they remind me of miniature tea cups. i was inspired to keep a handful for myself but don't know what they will become just yet. new peace fleece mittens for esme' knit from the playground mittens pattern. the pattern was fast and simple and esme' loves them. she does not, however, love the little crochet chain i made to thread through her sleeves and attach to each mitten. but mama would like both hand knit mittens to come home with her each day. *sigh* maybe i will compromise. maybe i will give her the benefit of the doubt and trust her to take care of them. maybe she will rarely take them off since her little fingers can peek out anytime she needs them. and if she does happen to lose one or both i suppose it will not be the end of the world. i can hardly believe it is true! 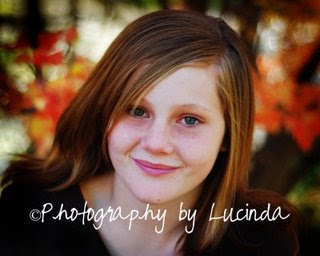 HaPpY, hApPy BiRtHdAy beautiful girl! continuing with the International Babywearing Week celebration i dug up some photos of a baby carrier that i made this past summer. in fact it is the baby carrier that i was sewing in my last post! this is an Onbuhimo~ it is a traditional asian carrier that is similar to a mei tai but instead of straps at the waist it has rings for the top straps to thread through. this carrier is reversible~ you can see the other side and read more about it here. and you can see my very first onbu carrier in this post. we love our onbuhimos and mei tais around here! don't let the long straps scare you. with just a little practice you can get your little one snug and secure quickly and easily and wear them comfortably for long periods of time. check back this week for more babywearing posts from me as well as a video demonstration on how to use an onbuhimo. and don't forget to visit adventures in babywearing for a chance to win something wonderful from nonny and boo! november 12-18 is national babywearing week! 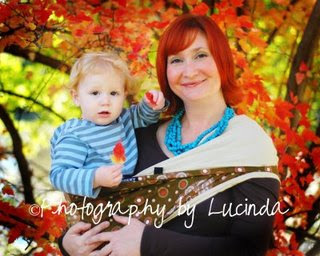 to celebrate i have posted some of my very favorite babywearing photos. a couple have been posted here before, and you can see even more of my babywearing images in this post. harper in the Beco~ i was sewing a new baby carrier!! and it wouldn't be a proper celebration without a little giveaway! so head on over to adventures in babywearing to add a link to your babywearing post and visit other babywearing bloggers this week. and the sweetest part of all, you could win a beautiful sling or hatchling sling from nonny and boo! i knit this sweet little soaker sack for my good friend heidi who is expecting her 4th baby very, very soon. it is organic merino hand painted in my Autumn Dance colorway. a soaker sack is worn over a cloth diaper and makes tiny baby diaper changes very easy as you can just pull it up, put on a new diaper and pull it back down. and they are just as cute as can be, don't you think! this little soaker sack was created using the freckle mermaid skirt/soaker pattern. it is a very clever pattern and i loved every second of this knit. and i simply cannot wait to meet the baby girl who will wear it! now onto some selfish knitting. before heidi's blessing shower on friday i quickly cast on this little bolero so i would have something to knit while i was out with my girlfriends. something easy to knit while i was out. i knit the 3 inches of ribbing that night (how did i manage to choose a pattern with so much ribbing?!) and then started the lace pattern yesterday morning. i was using size 10.5 straight needles as suggested in the pattern. but my needle was not long enough and i couldn't see my lace repeats so, after 3 inches of lace i ripped back to the ribbing. this time i tried a size 10 circular needle with a 47 inch cable. the cable was driving me nuts and my lace pattern was just not working out. again, ripped back to the ribbing. this time i transferred my stitches to a size 11 circular with a 24 inch cable. so far so good. the cable length seems just right and i finally have the pattern all figured out. i hope! at this point i am determined to knit this pattern and it better be my very favorite article of clothing after all this! so wish me luck~ i am off to spend a lazy afternoon with the kids. hot cocoa, movies, go fish (esme's new favorite) and lots of wonderful, wonderful knitting. speaking of wonderful, have you seen this little giveaway yet? and go check out Grosgrain's brand new store~ sweet beyond belief! new pants for harper~ i made the little mushroom appliques out of felted wool from thrifted sweaters. i knit the pants a couple weeks ago and then hand sewed the mushrooms onto them tuesday night as i watched the poll results role in. i love these pants. they make me think of story books and fairy tales... and autumn of course! this yarn is cascade eco wool hand dyed by my friend becca. they are soft and warm~ perfect for the season! and just to let you know, i swept under that couch immediately after uploading these pictures (bag over head!!) oh photoshop, where are you when i need you? more exciting news from this week~ i won not one but two fun giveaways! the first is a blog make over from blog designs by summer and then i won this wonderful bunch of goodies from krafty kash. 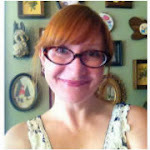 it was her birthday and her very first bloggy giveaway! i have some plans to do some giving of my own right here on my blog so be sure to check back next week! lions, skeletons and pop stars OH MY! the most exciting part of halloween is planning the costumes weeks in advance. scouring the thrift stores and digging deep into our costume box looking for just the right accessories. this year i talked esme' into dressing up as little red riding hood. and harper could be the big bad wolf. i looked for the perfect cape pattern online and bought a grey hoodie to create a wolf. then esme' changed her mind. she wanted to be hannah montana instead. so we borrowed a blond wig that made her look more like Lady Godiva from the back view and bought a hannah tee shirt. but last night she dug into the costume box and decided she would like to be a skeleton... again! so i painted boney faces and off we went for trick or treating. harper was just the cutest little lion ever. he hated mama painting on his nose and whiskers but once i got them on he didn't seem to mind. it was a great night for trick or treating. it was warm~ at one point daddy took the top part of harper's costume off because he was too warm. we loved all the jack o lanterns and costumes and decorated houses. and the treats were sweet too of course! now it is time to pack up the halloween box and put it away. it is time to plan the next celebrations. niko's birthday is in less than 2 weeks. and then Thanksgiving will be right around the corner. and, as always, we have so, so much to be thankful for!